This year, Radio DePaul will be having our eighth annual Rock The Clock - a 48 hour live marathon that raises money for Ann and Robert H. Lurie Children's Hospital through Demonthon. The marathon will be taking place starting at 2pm on Friday, February 1st, and going until Sunday, February 3rd. If you'd like to help us reach out goal and donate to a great cause, hit the "Support Us" button above! 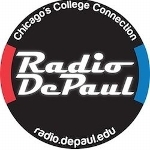 And thanks for listening to Radio DePaul!